The development vision of the Foundation began with President, Rev. Dr. Julius R. Scruggs. Through a discussion with Rev. Dr. Larry B. West to expand the Convention’s public policy thrusts, a trip to the White House in December 2011 resulted. While in DC, the attendees met with the department heads of President Barack Obama’s Administration. In June 2012, the journey continued with the initial five initial board members: Rev. Dr. Julius R. Scruggs, Rev. Dr. Larry B. West, Rev. Dr. Marcus D. Davidson, Rev. Dr. Clifford A. Jones, Sr., and Rev. Dr. Thomas Morris, Sr., while meeting in St. Louis, Missouri to develop and expand their guided visionary efforts to setup the foundation. The company name selected was National USA Foundation, Inc. (NUFI). Miss Toni Demetria Smith was selected as the first Treasurer on July 30, 2012. Miss Smith was instrumental in handling the financial and tax matters in furthering the federal tax exemption application. The National USA Foundation, Inc. is a State of Tennessee nonprofit corporation exempt from federal income tax under Section 501(c)(3) of the Internal Revenue Code as of November 7, 2012. In 2013, the initial Administrative Committee was selected which comprised of Rev. Dr. Larry B. West, Chairman, Rev. Dr. Marcus D. Davidson, Secretary, and Miss Toni Demetria Smith, Treasurer. The administrative committee is responsible for planning efforts, organizational structure, and review program and project proposals submitted to the foundation. This committee also periodically reviews the foundation’s Articles of Incorporation and Bylaws. The Website Committee was formed, Dr. Marcus D. Davidson, Chairperson and Miss Toni Demetria Smith, Co-Chairperson to develop the Foundation’s mission statement, letterhead, logo, and website. 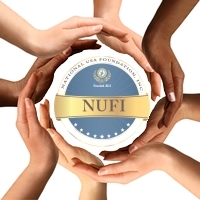 NUFI launched the website www.nufi.org and the facebook social media site in September 2013. On January 22, 2014, the National USA Foundation, Inc. presented information regarding the organization at the National Baptist Convention USA, Inc. Mid-Winter Board Meeting in Birmingham, Alabama. On August 8, 2014, New Era Baptist State Convention of Nebraska, Inc. and Second Chance Productions presented “You’re Gonna Miss Me When I’m Gone” at The Rose Theater in Omaha, Nebraska; the Foundation was a supporting sponsor to raise public awareness dealing with teenage pregnancy in the local churches and community through the theatrical production. In January 2015, an enhancement design for a Men’s Health page was prepared to be added to the website to promote awareness to focus on the month of June which is Men’s Health Awareness Month. The concept of Pray, Plan, and Partner Up (3 Ps) was utilized to encourage a brother to pray, encourage a brother to plan to lead a healthy lifestyle, and partner up with a friend and encourage them to workout. Pastor Carlos D. Williams, Dr. Marcus D. Davidson, Dr. Cedric L. Perkins, and Pastor Daryn David Crenshaw were selected to participate in the public service announcement promotion videos. In 2016, we continued to work with our collaborative partners providing and developing new innovative approaches to improve men’s health and their well-being. We desire to invest in the long lasting benefits to assist men and women to make better choices in family planning decisions regarding their health. We are working to develop focus group ministries within churches to improve awareness in nutrition and fitness utilizing pharmacists, doctors, nurses, and other healthcare providers. National USA Foundation, Inc. will utilize pertinent and effective resources to inspire and empower people to take action in their own lives. On June 21, 2016, during the board of directors meeting in Tampa, Florida a discussion ensued to make sure that others understood our mission, vision, and to know who we are. Later that afternoon, Dr. Daryn David Crenshaw, Dr. Marcus D. Davidson, Dr. Cedric L. Perkins, Dr. Walter Solomon, and Pastor Carlos Williams gathered together to participate in taping new public service announcement promotion videos regarding topic areas of diabetes, fitness, heart, pharmacy – prescription drugs, and stroke. In July 2016, Miss Toni Demetria Smith wrote two public service announcements scripts in which Dr. Marcus D. Davidson shares the historical perspective to market and promotes the organization. In 2017, National USA Foundation, Inc. will celebrate five years of existence.